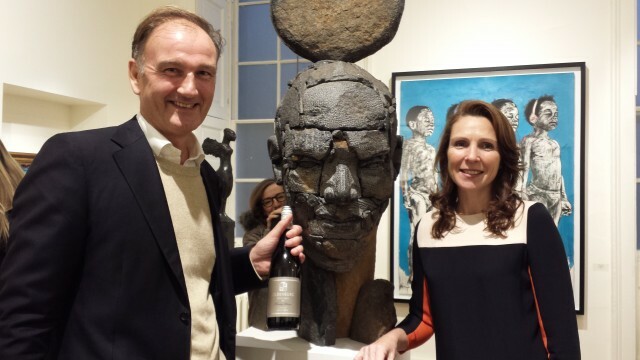 db attended a sumptuous dinner hosted by Oldenburg Vineyards in South Africa’s Banghoek Valley in Stellenbosch at Somerset House in London on Tuesday. The winery, owned by Adrian and Vanessa Vanderspuy (pictured), is sponsoring the 1:54 Contemporary African Art Fair opening this week, at which artists from all over Africa are exhibiting. Guests were treated to a private view before sitting down for a dinner prepared by chef Tom Aikens paired to a selection of its wines, which included a Bordeaux-style Rhodium blend, Cabernet Sauvignon, and Chenin Blanc.